General Motors has confirmed plans to end production of its previous generation half-ton pickups sometime in the second half of 2019. 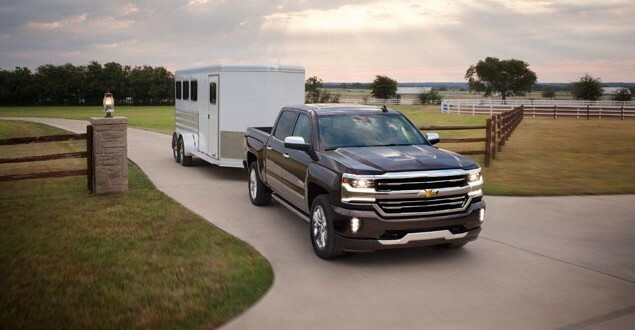 The company has continued to build the K2 trucks even as the all-new 2019 Chevrolet Silverado and GMC Sierra hit the market. During the company’s third quarter earnings calls, CFO Dhivya Suryadevara stated the company will begin winding down production of the previous-generation trucks early next year by phasing out the crew cab models. Double cab and regular cab models will begin phasing out “sometime in the early second half” of 2019, meaning the old trucks are going to hang around for most of next year. Production of the all-new trucks commenced in July at GM’s Fort Wayne, Indiana assembly plant in crew cab only format. Double cab production started last month, while regular cab and additional production of crew cab variants will come on line at GM’s Silao, Mexico plant in January. Automotive News reports the company is on pace to deliver 120,000 copies of the all-new half-ton pickups by the end of this year. The figure is just 10,000 shy of the company’s original target set under its previous CFO, Chuck Stevens. GM has been producing the outgoing models at the company’s Oshawa, Ontario assembly plant. The Fort Wayne plant is suppling bodies to the Oshawa plant, while the Oshawa plant is painting and conducting final assembly. The odd manufacturing flow has been dubbed the “Oshawa Shuttle.” GM made a similar move with the last-generation Equinox by sending bodies of it to Oshawa for final assembly. Keeping the old trucks in production has given GM some sense of stability in terms of supply and sales figures as it ramps up production of the new trucks.